During Fall of 2018 Rob Nahigian, FRICS, SIOR, CRE, MCR of Auburndale Realty Co., Newton, Mass. was invited and spoke at a number of regional commercial real estate events throughout the U.S. as an industry subject matter expert and commercial industry thought-leader. The Ohio Association of Realtors engaged Rob to deliver a webinar on Commercial Transactions and Leases. The webinar attracted practitioners throughout Ohio and was conducted on August 28 and 30. Rob then was invited to deliver “Build-to-Suit Development” and “Commercial Lease Analysis: When to Hold and When to Fold” on September 7, 2018 for the New Orleans Metropolitan Association of Realtors (NOMAR) Commercial division. On September 14th, Rob delivered the SIOR national designation program “Art of Negotiating Commercial Real Estate” in Dallas at the Sheraton Dallas. The course revealed new models in negotiating skills that have elevated the success of professional negotiators. As an SIOR national faculty member since 1986, Rob incorporated his professional experience as a “for hire” negotiator that dissected two negotiating traits that can tip the playing field. On September 18, 2018 the S. Shore Association of Realtors invited Rob to review the NAR Code of Ethics, Comparative Market Analysis and Investment Basics to its members seeking MA continuing education for licenses. The program was held in Pembroke and the Board’s location and attracted over 150 real estate practitioners. Rob taught his Boston University on-line class starting on September 4, 2018 through October, 2018. There were 22 attendees internationally on the topic of Commercial Real Estate Leases and Transactions. The online course is an eight week program that includes brokers, developers and lenders from India to California. The course dives into commercial lease clauses and investment issues from the perspective of the landlord, tenant and lender as well as the leasing process and financing/investment implications. On September 21, 2018 the Berkshire Board of Realtors asked Rob to speak at on Investment Basics and Advanced Industrial Real Estate for MA continuing education to its members. The event was held at the Board offices in Pittsfield, MA and drew over 100 people for the day. On September 27, 2018 R&R Realty engaged Rob to speak at its annual corporate education day in W. Des Moines, Iowa. Rob delivered “From Shanghai to Your Shelf: Logistics and Supply Chain in the 21st Century”. The program was delivered to its premier brokers by R&R at its corporate headquarters. Rob discussed the 5 intermodals, the changes with the Suez and Panama Canals, the advantages and disadvantages of east coast ports, rail, air and trucking systems, 3PLs and logistic hubs. Most importantly he shared the mathematical regression models that internal real estate departments engage to develop an industrial real estate decision on site and facility options in the marketplace. The Cape Cod & Islands Association of Realtors engaged Rob to speak at its Fall education event on October 17 on MA continuing education. Topics included Methods of Measuring Space, Commercial Buyer’s Brokerage and Commercial Basics: Geography and Financial. The event was held at the Board’s conference facility in W. Yarmouth. MA NAIOP asked Rob to speak on business transactions and negotiating at its regional event on October 19 at AllSteel, 200 State Street, Boston. Approximately 25 real estate brokers, architects, lawyers, engineers, contractors and developers were in attendance. Rob was then invited as a national speaker on November 5, 2018 at the NAR National Convention at the Commercial Division in Boston. Rob spoke on negotiating basics at the NAR Commercial Learning Theater. Over 6,000 people attended the NAR national convention. On November 9th, Rob was invited to speak at the SIOR Northeast Regional Event in New York City on November 9. Over 5 SIOR chapters were part of this collaboration including New England, Connecticut, NY, NY, PA and NJ. Approximately 150 attendees were part of this two day program. The main event was held at the Bank of America Global headquarters near Bryant Park. Rob spoke on logistics and supply chain, From Shanghai to Your Shelf. He had recently visited and toured the Savannah Port with the GA Port Authority and shared his experience as it relates to other port advantages and disadvantages. As a SIOR faculty member, Rob taught Synergistic Sales Skills on November 14 in Atlanta for the SIOR National Designation class on Synergistic Sales Skills. Approximately 21 real estate brokers were in attendance to fulfill their SIOR designation requirements. September, 2018, Rob Nahigian has served in three different litigation support court cases. One case was located in Watertown, MA involving a dispute between partners on compensation for services on a former car dealership. Rob served as an expert at arbitration on fee for services. Another case involved an eminent domain valuation case with the City of Peabody with a commercial property. Rob’s testimony opinion letter was the main driver that led to a settlement between the two parties. Rob is also involved another dispute between an office landlord and non-profit tenant on a lease dispute in Boston. Auburndale Realty Co., Newton, Mass. 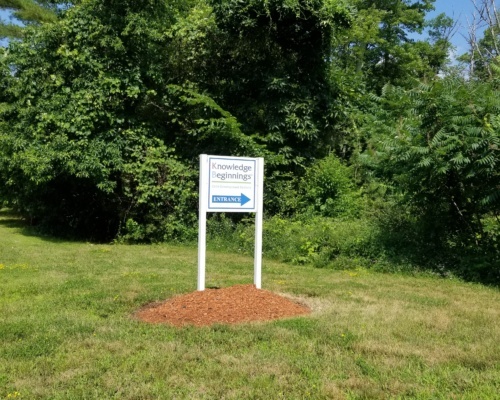 is pleased to announce July 26, 2018 that it has recently completed a counseling assignment that resulted in the expansion and leasing of 5 Forge Parkway, Franklin, Mass. Rob Nahigian, FRICS,SIOR,CRE,MCR was the real estate counselor representing the ownership, JD Family Trust on the additional leasing of its industrial facility to New England Treatment Access, Inc (NETA). NETA is a Massachusetts non-profit corporation with its roots in Colorado. The tenant had originally signed a long-term lease in 2013-14 years ago for approximately 61,000 sf of warehouse, 10,000 sf of mezzanine space and 1,176 sf of garage space. The total square footage was 71,326 sf for medicinal marijuana grow facility. Nahigian served as the real estate counselor on the first phase of the assignment for JD Family Trust for the 71,326 sf. The warehouse facility was formally occupied by Ferguson Plumbing for a number of years. NETA approached JD Family Trust to lease the entire facility as its medicinal facility back in 2013. NETA was one of the first entities to receive a license from the State to grow medicinal marijuana. NETA has had immense success in Colorado and brought that experience to Massachusetts. The company has grown its business and had a need for additional space. NETA and JD Family Trust has been negotiating during the Winter and Spring of 2018 for new construction addition of approximately 35,000 square. The total lease facility is know 106,326 square feet. Additionally the tenant has extended its lease to a longer term. The lease amendment was executed during the Spring of 2018. Construction was recently completed during July, 2018 for the expansion. Numerous approvals were required by the town and state for this facility. Nahigian has been counseling numerous commercial and industrial projects for JD Family Trust since 2009. 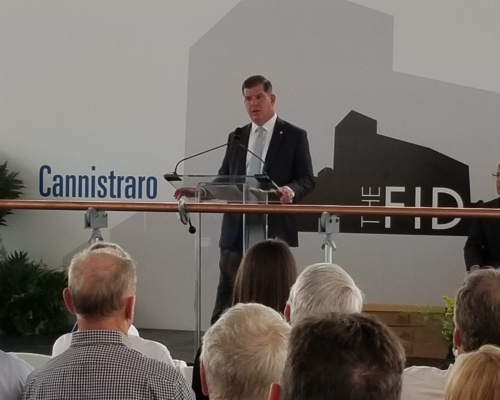 The grand opening of the new JC Cannistraro fabrication, manufacturing and design facility was held on Boston’s Seaport on Thursday, June 14, 2018. Robert Cleary, SIOR, CRE Colliers International and Rob Nahigian, FRICS, CRE, SIOR, MCR of Auburndale Realty Co., Newton, Mass. were the real estate advisors and brokers that took the project from initial planning to its final lease negotiations at 25 Fid Kennedy over the last 4 years. J.C. Cannistraro, LLC, of Watertown, MA is relocating its manufacturing facility with over 200 industrial employees on a 70 year long-term lease. The lease was negotiated by Bob Cleary and Rob Nahigian and is the first of its type in arguably over 50 years in the Seaport. It is significant both because of its longevity and industrial impact. The event started at 10:30 am and attracted over 400 professionals including Boston’s Mayor Walsh and the Director of the Boston Redevelopment Authority, Brian Golden. 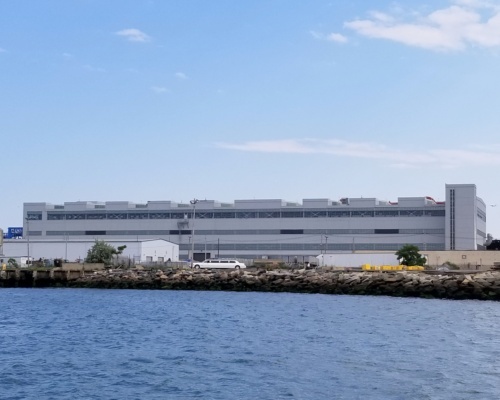 Cannistraro renovated the 160,000 square foot building at 25 Fid Kennedy (now known as The Fid) and created roughly 200 manufacturing jobs located in Boston’s Raymond L. Flynn Marine Industrial Park. Cannistraro consolidated its trades, and relocated the company’s machine shops from Wilmington, Stoughton and Watertown. They moved these operations into 25 Fid during March, 2018. The building took two years of renovating to bring this former U.S. Army WWII building to its historic preservation stage. In its over 50 years in business, Cannistraro has grown from a plumbing company into a multi-trade contracting company offering plumbing, HVAC, piping, sheet metal and fire protection services. The majority of Cannistraro’s work is within greater Boston serving commercial, medical, educational institutions and other facilities. The property at 25 Fid Kennedy played an integral role in the WWII and post-WWII war effort and is located in the 58 acre South Boston Army Annex, contained within the 167 acre South Boston Naval Annex. After extensive negotiations, EDIC and the Boston Redevelopment Authority awarded Cannistraro Final Designation on June 9, 2016. The lease was executed on August 31, 2016. 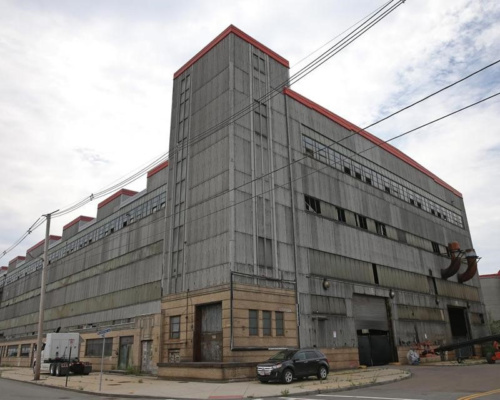 During the due diligence of the property, Cannistraro developed plans to completely renovate, enhance and redesign the former U.S. Army Annex while preserving the rare Art-Deco character of this massive steel-framed former metal shop. June 14, 2018 was the grand opening to showcase those renovations. At the event, the Mayor of Boston spoke highly of JC Cannistraro and the new jobs being created by the company. He mentioned that S. Boston area has transformed from a fish market to new hotels, headquarters and offices for GE, Skanska, Amazon and is now one of the hottest locations in the U.S. for development. 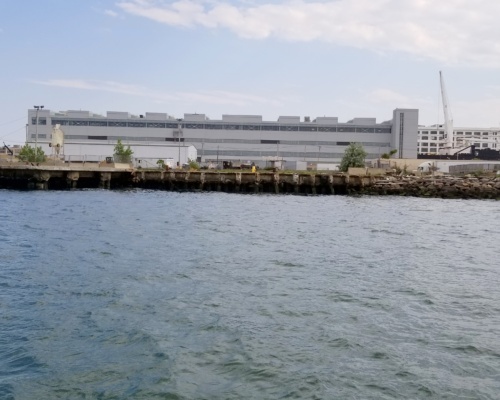 John Cannistraro, President, said that the company needed to change as has Boston’s skyline on side of the building and the abutting sea on the other side of the building. This facility will give his company the ability to evolve for generations to come. Auburndale Realty Co. exclusively represented Cannistraro in this lease transaction. Both Bob Cleary and Rob Nahigian acted as real estate counselors and brokers on this assignment. They research over 100 sites between Boston, Manchester, Worcester and Providence in their efforts to find this facility. Both Bob and Rob intensely negotiated the letter of intent and the 200 page lease document. 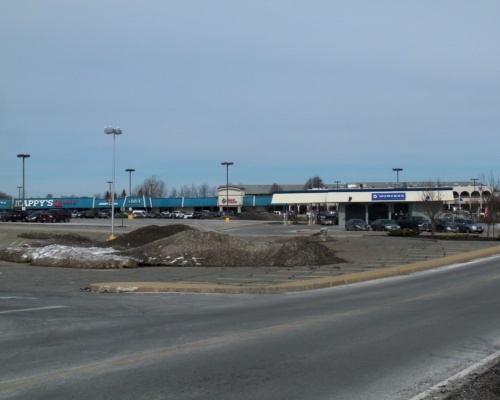 Rob Nahigian is pleased to announce that he has served as an expert witness/litigation support on a Watertown (MA) former Fuller Enterprises car dealership facility. The expert services included highest and best use value, industry brokerage practices and compensation, developer and partnership service requirements and investment compensation. The case was held in November, 2017. Currently Rob is serving on three other dispute cases in the Boston area as an expert witness. 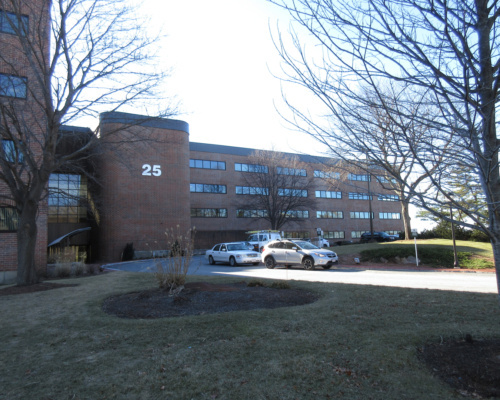 ​​- January 24, 2018, Auburndale Realty completed an office lease representing Brookline Bank’s Special Deposit Division for 1031 Services at 25 Braintree Hill Office Park, Braintree, MA. The office lease was for 3,681 sf. During the Fall of 2017 Brookline Bank engaged Auburndale Realty as its corporate broker for office space for its special deposit divisions. – Spring/Fall, 2017 engaged for litigation support and expert testimony on four separate court cases involving commercial real estate; partner disputes, tenant-landlord lease dispute and broker-buyer disputes located on the North Shore, MetroWest and Boston. – Summer/Fall/Spring 2017-18 Providing counseling services on a 400,000 sf commercial portfolio sale for a private equity owner for $40 million. – Sept. 2017, Provided counseling services on the sale of 3 medical condominiums in Waltham, MA. Rob Nahigian, FRICS, SIOR, CRE, MCR of Auburndale Realty Co., Newton, Mass. 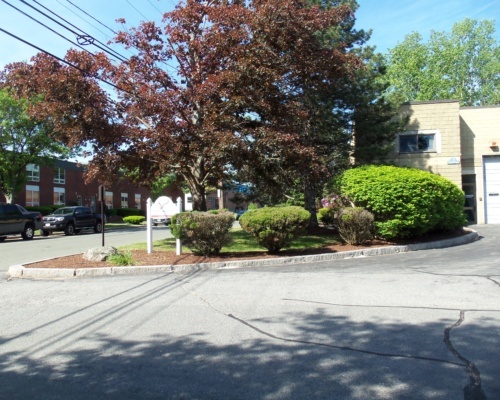 counseled the sale of two medical office condominiums at 20 Hope Avenue, Waltham, MA on September 15, 2017. The seller was a family trust with Karen Shields of Newton, MA as the Trustee and the buyer was Kuchnir Realty LLC. The Waltham Medical Office Building condominiums are adjacent to Children’s Hospital in the Waltham-Weston medical area. The selling price was $166,000 for the two units. Rob Nahigian served as the real estate counselor on behalf of the seller and is advising on the disposition of a group of medical condominiums owned by the seller. Rob served at the Real Estate Counselor for the seller. 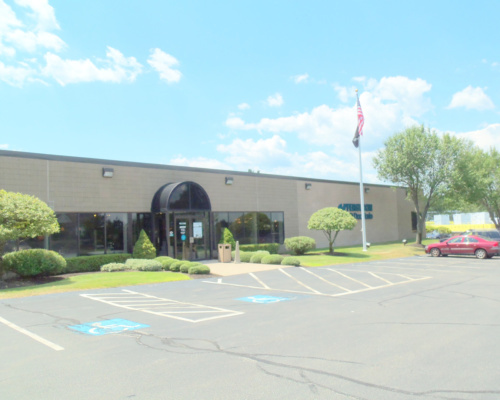 – December, 2016, Rob Nahigian and Auburndale Realty Co. completed the lease renewal of 42,500 sf of warehouse space to PAK Technologies at 95 Fitchburg Road, Ayer, Mass. Rob represented the landlord, Groton-Ayer Realty Trust. PAK Technologies provides comprehensive blending, packaging and distribution services as well as deicing at Logan airport. – At the SIOR 2016 Fall World Conference in NYC, Rob was recognized as its newest member of the coveted Legacy Circle. The Legacy Circle is for members who have served 30 years or longer as a member of SIOR. Rob earned his designation May, 2016. SIOR has 3,000 designees and was created at the request of the US War Department in 1941 for industrial brokers finding sites for factories in the WWII war cause. 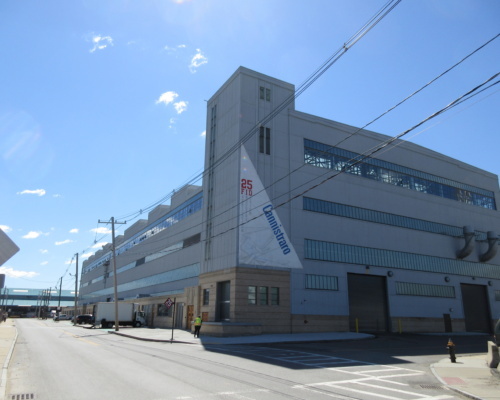 ​​- Auburndale Realty Co. and Rob Nahigian are honored to announce, with cooperating SIOR broker, Bob Cleary, now with Colliers International of Boston, that it has closed on one of the most impactful industrial/manufacturing leases in the City of Boston with JC Cannistraro LLC of Watertown, MA. The industrial lease culminates a 2.5 year process of tenant advisory assignment for JC Cannistraro, a mechanical contracting company, in search of a 150-200,000 square foot manufacturing facility. Over 100 sites, land and buildings were surveyed from New Hampshire and Massachusetts and eventually 25 Fid Kennedy, Boston was selected. 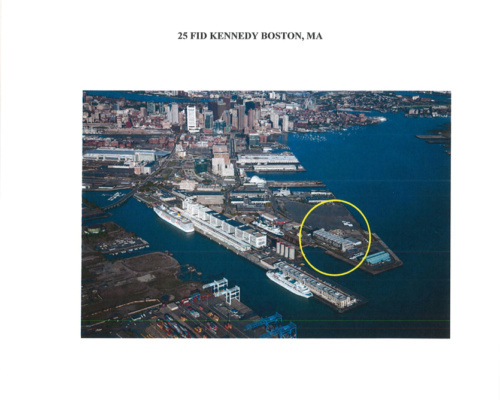 The site is owned by EDIC and the Boston Redevelopment Authority near Boston’s Seaport. The building is approximately 160,000 sf and served as an U.S. Army ammunition facility during WW II. After 1.5 years of designation awards and lease negotiations with EDIC, BRA, the City of Boston and the Mayor’s Office, a 178 page lease with a 70 year control period was executed on August 31, 2016. Over 140 new jobs will be immediately added with aspirations to include over 400 jobs in total over time. – Auburndale Realty Co. is pleased to announce that its principal, Rob Nahigian, FRICS, SIOR, CRE, MCR of Auburndale Realty Co., Newton, Mass. on June 17, 2016 was re-appointed by the Mass. Real Estate Licensing Commission/Real Estate Board to its Education Subcommittee. Rob received a confirmation letter from Executive Director Ann-Margarette Barry to inform him of the re-appointment. The Education Subcommittee reviews and recommends to the State’s Executive Director and Associate Executive Director the continuing educational requirements to remain a real estate licensed salesperson and/or broker. The Ed Subcommittee also recommends hours required for educational requirements for all licensing issues and approves any new courses submitted by the public for review. They make recommendations to the course content and outline format both for residential and commercial real estate licensing practitioners. Rob will be serving as the representative involved in commercial real estate. He has been periodically working with the Ed Subcommittee since 1998 and in the last 5 years has developed voluntarily and submitted over 37 CE commercial courses. Ms. Barry indicated that the members of the Real Estate License Board expressed their sincere thanks and deep appreciation to serve the Board and help to ensure that licensed real estate agents deliver quality assistance to their clients and customers in a professional manner. Rob’s service will also enhance the ability of the Board to protect consumers in the Commonwealth in the practice of real estate brokering. Rob will be serving a one year term. – During the Spring of 2016, Rob Nahigian, FRICS, SIOR, CRE, MCR of Auburndale Realty Co., Newton, Mass. was invited and spoke at a number of regional commercial real estate events throughout the U.S. as an industry subject matter expert and commercial industry leader. Rob delivered the program “Commercial Lease Negotiations: When Know to Hold and Know When to Fold” to the Greenville (SC) Association of Realtors Commercial Division on March 11, 2016. Over 60 of the top commercial brokers, SIOR and CCIM members attended this full morning event in Greenville, SC. The course dissected the top 5 commercial lease clause issues for a landlord and for a tenant in today’s turbulent world of commercial lease negotiations. The lender’s perspective was incorporated into the subject issues as well and the pros and cons were debated. – On April 26, 2016, the Central Massachusetts Association of Realtors Commercial Alliance engaged Rob to present the new NAR Commercial course “Discovering Commercial Real Estate.” This four hour program was delivered in Auburn, MA at the Board’s office and covered all phases of commercial real estate from marketing, to investment trends, industrial real estate and leasing nuances. This course was presented to new commercial brokers and was a good refresher for the seasoned attendees. – Rob taught his Boston University Executive Semester Course “Commercial Lease Analysis” from April 29-May1, 2016 to industry real estate practitioners. The course was delivered at Boston University in a 28 hour format to a sold out class and included industry experts from both Brookline Bank, Stonewood Co., and former directors from SunMicro and Fidelity. The course dives into 55 commercial lease clauses from the perspective of the landlord, tenant and lender as well as the leasing process and financing/investment implications. The class attendees included real estate lenders, real estate directors of end-users, New England developers and brokers. – Rob then was invited to deliver “From Shanghai to Your Shelf” on May 4, 2016 for the Seattle Commercial Broker’s Association and the SIOR Washington Chapter. Over 60 attendees were present from economic developers to the premier industrial brokers and developers. Rob also toured the Seattle Port on a private presentation made to him in preparation for this presentation. His 4 hour CE approved program was delivered to its members in downtown Seattle (see photo). The presentation reveils how corporations use mathematical formulas in the site selection decision-making in the world of logistics/supply chain when importing from Shanghai to U.S. distribution centers and retail locations. Over 280 slides include presentations of a dozen U.S ports, inland ports, intermodal pros and cons, 3PL, logistic hubs and internal building technology that has revolutionized industrial real estate. This high powered presentation based on proprietary research has been highly touted and presented to over 20 SIOR, CCIM chapters and Commercial Boards nationwide. – Rob again delivered “From Shanghai to Your Shelf” on June 8, 2016 for the Houston Association of Realtors and the SIOR Houston/Gulf Coast Chapter. The Port of Houston sponsored this event and over 55 attendees were presents. Rob also toured the Houston Port on a private presentation made to him in preparation for this presentation. His 3 hour CE approved program was delivered at the Briar Club in Houston (see photo). On June 13, 2016 in Philadelphia, Rob delivered to prospective SIOR members at the SIOR National Designation courses, “Synergistic Sales Skills.” This course is an elective for the premier commercial brokers that are in the process of obtaining their SIOR national designation. The course was held in downtown Philadelphia at the Hyatt Bellevue. 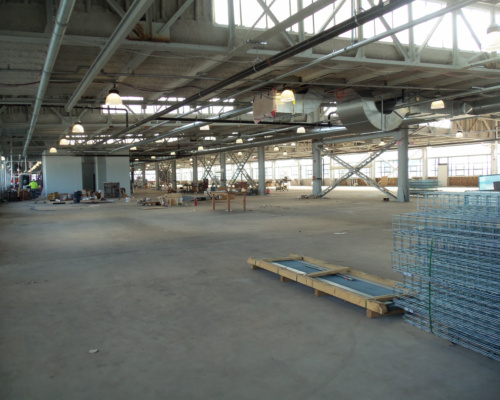 – On June 9, 2016, JC Cannistraro, a 50 year manufacturing company and client of Auburndale Realty Co., was awarded Final Designation by the Boston Redevelopment Authority, on the 160,000 square foot former US Army facility in Boston’s Seaport area. 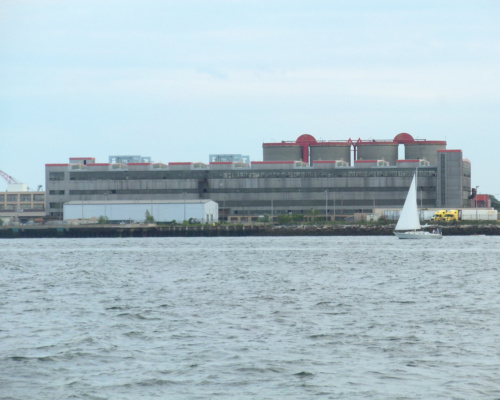 It is an assignment that Auburndale Realty Co. has been working for over 2.5 years for JC Cannistraro to consolidate 3 Boston area facilities and over 400 employees. 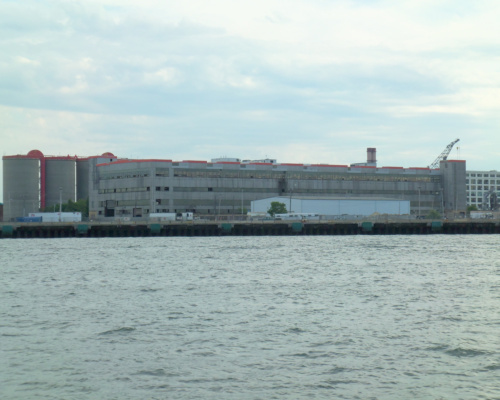 It is one of the largest and longest term industrial deals completed in Boston’s history. – On October, 2015 The Counselors of Real Estate elected Rob Nahigian to its National Board of Directors at its Fall Charlotte Annual Conference. His term begins in 2016 to 2018. He recently completed his term as National Vice-Chair Liaison. -Rob Nahigian, FRICS, SIOR, CRE, MCR of Auburndale Realty Co, Newton, Mass. was recently awarded by the Massachusetts Association of Realtors as the “2015 Massachusetts Real Estate Educator of the Year.” The professional awards recognition was made on Sunday night, September 27, 2015 at the Mass. Association of Realtors State Convention’s Professional Awards & Recognition Dinner with approximately 220 people in attendance. The awards dinner and convention was held at the Double-Tree Hilton Hotel in Danvers, Mass. Annie Blatz, President-Elect announced the recipient of the award from four state-wide finalists. She stated to the audience that the award to Rob was in recognition of his demonstrated commitment to promoting the professional growth of agents and brokers through course instruction, curriculum development, and contributions of academic and/or written work to industry publications. 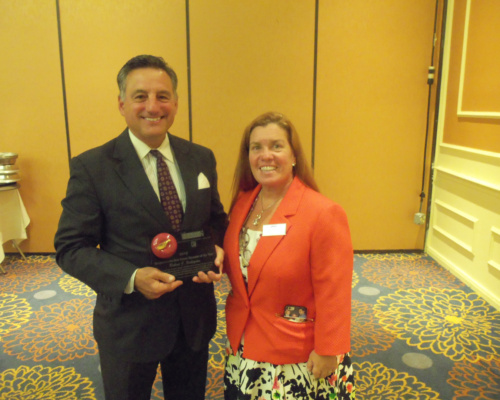 – During the summer of 2015, Rob Nahigian,FRICS,SIOR,CRE,MCR of Auburndale Realty Co., Newton, Mass. 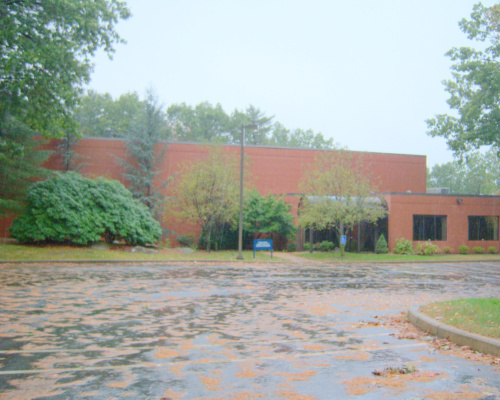 is pleased to announce the office lease of 2,856 RSF by Impact Technical Sales at 60 Mall Rd Burlington, Ma. 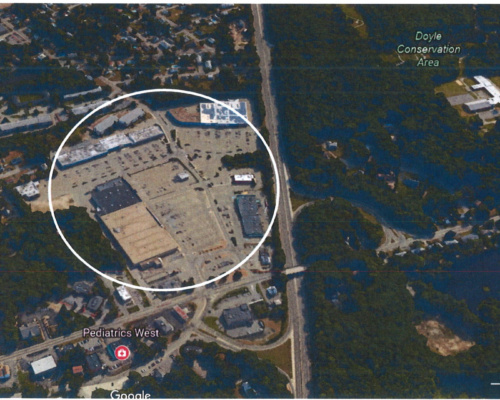 The property is owned by 50-54-60 Mall Road, LLC and managed by RJ Kelly Co of Burlington, MA. 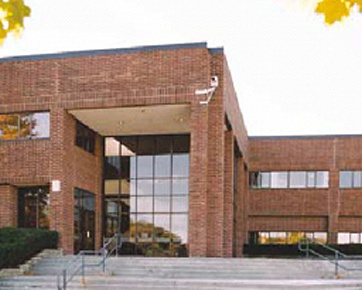 ITS is currently located at 1 NEEP Burlington MA. Rob Nahigian exclusively represented ITS. Mark McLean VP of Asset Manager represented the landlord. The lease was consummated during July 2015 after a 4 month site search and negotiations. – Rob Nahigian,FRICS,CRE,SIOR,MCR of Auburndale Realty Co., Newton, Mass. is pleased to announce that it has completed a 6 year advisory assignment on 3 projects in Franklin, Mass. during July, 2015. 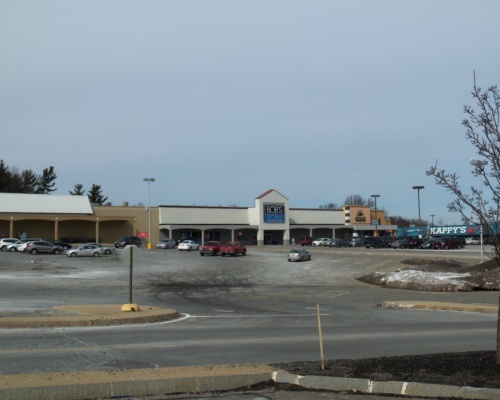 Rob served as the Real Estate Counselor and the counseling assignment collectively pertained to a 4 acre retail site acquired by J&J W. Central Trust, LLC in the spring of 2009 and industrial properties located at 5 and 7 Forge Parkway, Franklin, Mass. – For the 505 W. Central 4 acre retail site, Rob was engaged as the partnership’s real estate counselor during the summer of 2009 to initially conduct a highest and best use analysis of the former KOC property. The result was a 3 lot retail subdivision located on Rt. 140 near Rt. 495 of which Rob advised on the site design, investment feasibility, and lease negotiations and disposition of the project. Numerous site plan schematics were initially developed for this 4 acre site so that it could be developed into a higher and best use commercial scenario. Numerous commercial and retail tenants had expressed interest in this site and eventually the site was designed into 3 pad lots for free-standing end-users. 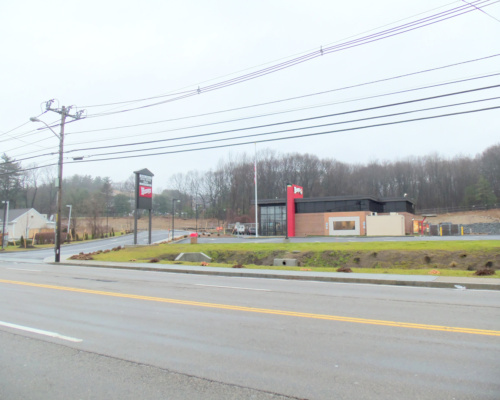 – The first tenant that committed to the project was Wendy’s International Hamburgers who agreed to a long-term ground lease and constructed a state-of-the art 2,500 square foot restaurant. This transaction occurred during the Spring of 2012. The second lot sale and user committed during July 2015 and is the anticipated future location of a Midas Auto Service and Tires. Construction has commenced during July, 2015.The final lot was sold during July, 2015 to an investor who acquired the Wendy’s ground lease and the third lot. The investor has not decided on a final plan for the third lot. – The seller, J&J West Central Realty Trust, LLC had a combined value of $2,050,000 for all transactions. Robert J. Nahigian of Auburndale Realty Co. was their portfolio consultant. Rob was instrumental in subdivision planning and the land lease to Wendy’s Restaurant. Mark Urbanek of Atlantic Commercial was engaged at the broker for lots 2 and 3. – Rob was also engaged to counsel the partnership on the leasing of its 20,800 square foot industrial building at 7 Forge Parkway and its 65,000 square foot warehouse building at 5 Forge Parkway. 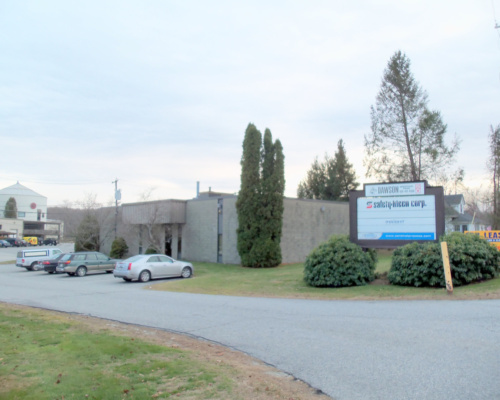 The ownership of 7 Forge Parkway, J,J&K Enterprises, was counseled by Rob Nahigian on the leasing of its vacant industrial facility to Happy Tails Doggy Daycare, Inc. 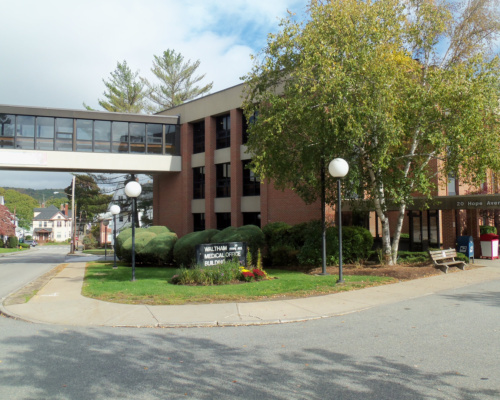 The tenant signed a long-term lease for this 20,800 sf building which relocated from 31 Hayward Street in Franklin, Mass. Rick Kaplan of RE/Max was the broker for Happy Tails Doggy DayCare, Inc. The lease negotiations occurred during the fall of 2011 and finalized in the winter of 2012. – 5 Forge Parkway is owned by JD Family Trust and the property comprises of 60,000 square foot warehouse on 9.82 acres. 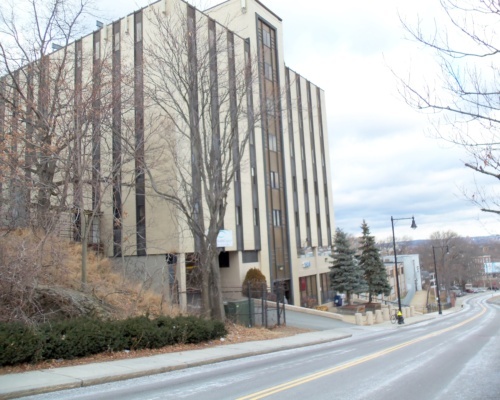 This vacant building was released on a long-term basis to New England Treatment Access, Inc. CBRE was the acting broker on the property. The lease negotiations occurred during the fall of 2013 and finalized in the winter of 2014. -Auburndale Realty Co. is pleased to announce that its principal Rob Nahigian has been asked to be a key speaker at the CORFAC International real estate convention in Minneapolis on Friday, September 11, 2015. Rob’s discussion will be on negotiating strategies in real estate transactions. The convention will be held at the Hilton Hotel in downtown Minneapolis. – Auburndale Realty Co. is pleased to announce that its principal, Rob Nahigian,FRICS,SIOR,CRE,MCR of Auburndale Realty Co., Newton, Mass. on June 15, 2015 was appointed by the Mass. Real Estate Licensing Commission/Real Estate Board to its Education Subcommittee. Rob received a confirmation letter from Associate Executive Director Ann-Margarette Barry to inform him of the appointment. The Education Subcommittee reviews and recommends to the State’s Executive Director and Associate Executive Director the continuing educational requirements to remain a real estate licensed salesperson and/or broker. The Ed Subcommittee also recommends the hours required for educational requirements for all licensing issues and approves any new courses submitted by the public for review. They make recommendations to the course content and outline format both for residential and commercial real estate licensing practitioners. Rob will be serving as the representative involved in commercial real estate. He has been periodically working with the Ed Subcommittee since 1998 and in the last 4 years has developed voluntarily and submitted over 34 CE commercial courses. – Ms. Barry indicated that the members of the Real Estate License Board expressed their sincere thanks and deep appreciation to serve the Board and help to ensure that licensed real estate agents deliver quality assistance to their clients and customers in a professional manner. Rob’s service will also enhance the ability of the Board to protect consumers in the Commonwealth in the practice of real estate brokering. Rob will be serving a one year term. – During the winter and spring of 2015, Rob Nahigian,FRICS,SIOR,CRE,MCR of Auburndale Realty Co., Newton, Mass. was invited and spoke at a number of regional and national commercial real estate events throughout the U.S. as an industry subject matter expert. – On February 6, Rob spoke at the Society of Industrial and Office Realtors (SIOR) NWFL/ALA/MS/LA Chapter in New Orleans on Synergistic Sales Skills. Over 40 of the top office/industrial brokers from these 4 states attended the Pan Am Conference Center for this 3 hour presentation. Rob presented new ways of marketing to express value to clients and included examples of non-real estate company struggles with competition. On February 12, Rob spoke at the SIOR Oregon Chapter on Commercial Due Diligence on the Sale of Real Estate and Understanding a Corporation’s Financial Statements. The program was held the University Club in downtown Portland. The attendees had a review of due diligence both from as a selling and buying broker. The material than dissected company financials and financial statements to evaluation risk and credit factors in lease negotiations. On February 25, Rob gave his program “From Shanghai to Your Shelf: Industrial Logistics and Supply Chain” to the SIOR E. Tennessee Chapter. This 4 hour CE approved program was delivered to its members in downtown Nashville. Rob discussed the intricacies of the 3rd Panama Canal and the impact on industrial site selection on the east coast, the shift from the west to east coast and corporate mathematical models used internal at corporation’s real estate committee on selecting building and/or land sites. Rob also gave the same presentation, “From Shanghai to Your Shelf” to the Louisiana Industrial Development Executive Association (LIDEA) in Bossier City, LA on March 18. Over 60 members attended this pre-convention seminar. The event was held at the Shreveport-Bossier City Casino and attendees were from various state and county economic development offices, rail roads and utility companies. – Rob will also be delivering the program “From Shanghai to Your Shelf” on May 21, 2015 for the Charleston Trident Association of Realtors in N. Charleston, SC. Over 90 attendees are expected. – Rob Nahigian,FRICS,SIOR,CRE,MCR of Auburndale Realty Co, Newton, Mass. was recently recognized by the New England Chapter of the Society of Industrial and Office Realtors for his 20 plus years serving on its Board of Directors. The recognition took place at its Chapter spring event on April 30, 2015 at 400 5th Avenue, Waltham, Mass. He recently announced to the Chapter President, Don Mancini during the Fall of 2014 that he was retiring from the Board at the end of 2014 after 20 years. During the April Chapter event, Chapter President Don Mancini spoke highly of Rob to the Chapter members about Rob’s involvement during the last 20 years, his contribution advising him as the new Chapter President and his historical in-sight to the Board. Don then handed Rob a beautiful blue colored glass award that stated “With Gratitude for 20 Years of Service and Dedication on the Board of Directors for the New England Chapter of SIOR, 1993-2014.” Rob has served the longest from the Chapter as a Board member. – Over the last 20 years, Rob has served the Chapter as Education Chair, Chapter President, Chapter Immediate Past President. Board Member and Special Events Coordinator. In addition, he co-chaired with Bob Cleary, the 2001 Boston National SIOR Convention, that immediately followed the September 9, 2011 attacks. Rob has served as well on many national SIOR committees as Chair, Vice-Chair and other officer positions. – Additionally, after 13 years, Rob announced during the Fall of 2014 to President Neil Schneider of the Boston’s Commercial Brokers Association, that he was retiring from the CBA Board of Directors. He was recognized in a private Board meeting on December 18, 2014 for his years of contribution on the Board. He has served the longest term of CBA on its Board of Directors and has held positions for CBA. Such roles has included: Government Affairs Liaison, Commercial Overlay Task Force, Continuing Education Co-Chair, Member of the Massachusetts Real Estate Licensing Education Subcommittee, Agency Law Task Force Member and Continuing Education GBREB Task Force. He also served as an instructor for CBA CE education, has organized CE panels and/or served on panels on such topics as Commercial Real Estate Ethics, Industrial Logistics & Supply Chain, Investment Real Estate, Due Diligence in Commercial Real Estate, Commercial Tenant Representation, etc. – Auburndale Realty Co., Newton, Mass. is pleased to announce that in May, 2014, it recently completed an office/lab and industrial corporate brokerage assignment representing DCS of Alexandria, Virginia with The Ezra Co. 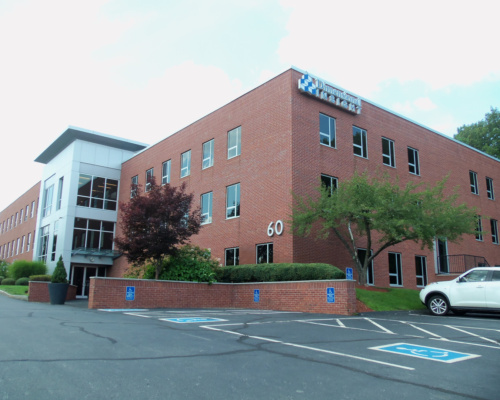 The lease transaction resulted in the leasing of a total of 41,515 square feet in Devens and Littleton, Massachusetts. 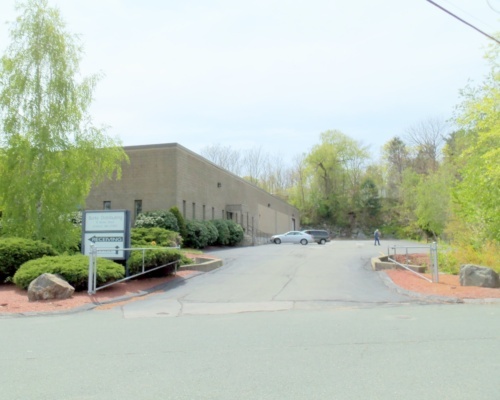 Rob Nahigian, FRICS,SIOR,CRE,MCR assisted The Ezra Co, who represents DCS Corporation nationally, in its lease of 27,215 square feet at 295 Foster Street, Littleton, Mass. and 14, 300 square feet at 67 Buena Vista Street, Devens, Mass. – DCS is a privately held company with over 1000 employees with multiple locations nationally including Alabama, California, Florida, Maryland, Virginia, Ohio, Michigan, New Hampshire and Massachusetts. They provide technology and program management solutions to the Federal Government and will use the facilities to support the U.S. Army’s Tank and Automotive Command and Tank and Automotive Research and Engineering Center. The customers include US Army, US Navy, US Air Force, US Marine Corp and US Coast Guard. – The landlord for 67 Buena Vista is Aspect Realty and the building broker was O’Brien Commercial. DCS is the sole tenant in this facility that is situated in heart of the Devens Park. The listing broker for 295 Foster Street, Littleton, Mass. was Parsons Commercial and the landlord is Ferris Development. DCS is the first tenant to commit to the 295 Foster Street project that was acquired last fall by Ferris Development of Westborough, Mass. The first class office/R&D building totals approximately 96,515 square feet and DCS has committed to approximately 28% of the building located in the heart of Boston’s hi-tech northwest corridor at the intersection of Rt. 2 and Rt. 495. – Rob Nahigian has been working with The Ezra Co. and DCS to combine its five Massachusetts locations that are spread out between Waltham and Devens. This relocation allows the company to operate within closer perimeters of each other and allows for more efficient operations. The search had spanned over 1.5 years before the commitment to the two locations. – June, 2013, Auburndale Realty Co., Newton, Mass. 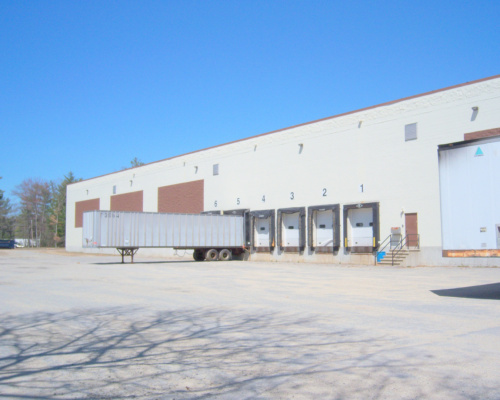 is pleased to announce that it has recently completed an industrial brokerage assignment that resulted in the leasing of 50 Brigham Street, Marlboro, Mass. Rob Nahigian, FRICS,SIOR,CRE,MCR represented A.P. Dawson Realty LLC on the leasing of its 4,060 sf industrial facility to 9 Robert Bonazzoli Avenue Realty Trust. Auburndale Realty Co. was the exclusive broker on this property. – At the May (2013) National Convention of SIOR, Rob Nahigian, FRICS, SIOR, CRE, MCR of Auburndale Realty Co, Newton, Mass. was awarded as the SIOR “2012 National Real Estate Educator of the Year.” The recognition was made on May 2, 2013 at the National Convention held at the Hyatt Regency Indian Wells, California with approximately 500 people in attendance. He has been awarded this recognition 5 times since its inception in 1990 which is the most times by any SIOR instructor. The recognition is made for his dedication, outstanding service and commitment to the educational process of SIOR by the students of the Society’s designation courses. He achieved the highest evaluation scores from those students during 2012. Rob is also recognized for his demonstrated commitment to promoting the professional growth of brokers through course instruction and curriculum development. He has been an SIOR National instructor since 1986. He has been honored with this award in 1994, 2002, 2003 and 2004. 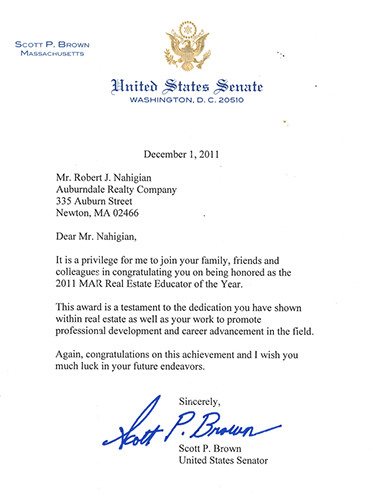 He was also awarded the 2011 Massachusetts Association of Realtors Real Estate Educator of the Year in Massachusetts. – January, 2013 Rob Nahigian, CRE of Auburndale Realty Co. Newton, Mass. was appointed as the 2013 Chair of the “James Felt Creative Counseling Award” for The Counselors of Real Estate. The committee reviews submissions from fellow Counselors of Real Estate members who believe that they have worked on a real estate consulting project that is of the highest achievement and uniqueness of any counseling assignment in the U.S. James Felt was a prominent real estate pioneer, former Chairman of the New York City Planning Commission and a trustee of many well-known corporate and philanthropic boards. Felt was known for his strong sense of integrity and client accountability in his creative counseling techniques to resolve complex real estate problems. Rob had been honored to have received this award in 2009 and was responsible with his committee to select a recipient for 2013.